on october 14th, 1947 flight officer charles elwood chuck yeager took a bell x-1 experimental rocket plane through the sound barrier for the first time, flying at a scary altitude of 45,000ft. 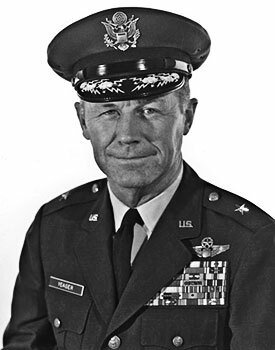 yeager for many, embodies the character and spirit of what most would refer to as a test pilot and indeed was the subject of tom wolfe's book the right stuff. without those with the courage and experience to consistently take new and untrialled aircraft into the skies, attempting mostly to break them or push them to their notional limits, air travel for the rest of us would hardly be as safe as it has turned out to be. the trepidation encountered by modern day test pilots, responsible for dragging colossal monsters of aluminium, titanium and carbon fibre off the runway and all the way up to what currently passes for cruising altitude, is not something most of us would be willing to experience. but test after test after test must be endured because changes in design and improvements in technology foster a need to find out their safety limits. it's a tough job but somebody has to do it. even at this advanced age, when boyhood dreams of becoming an astronaut, train driver, fireman or cement lorry driver (yes, really) have long since evaporated, a litte kernel shielded from everyday life hangs on to the thought of being a test pilot of something or other. software beta testing has its moments, but other than the likelihood of inadvertantly crashing the programme, there is little danger involved. at least, nothing worth the adoration of one's peers. though hardly worthy of the respect rightly conferred upon the likes of chuck yeager, the more mundane aspects of test pilotness still require to be carried out in the unlikely world of cycling apparel. 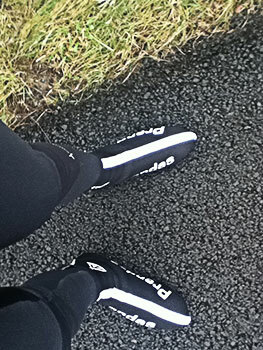 not too many months prior to christmas 2011, andy storey at prendas ciclismo forwarded a pair of windproof overshoes and matching winter gloves for a good thrashing prior to their commitment of substantially larger quantities. as mr storey said at the time "we figured that your experience of reviewing umpteen items of cycling garb over the years would allow for close examination of thes latest prospective additions to the prendas range", an ego booster if ever there was one, ultimately undermined by mick tarrant adding "but mostly because you've got crap weather." for perhaps the first time in my career, i had cause to softly curse islay's weather for failing to deliver the goods when required. 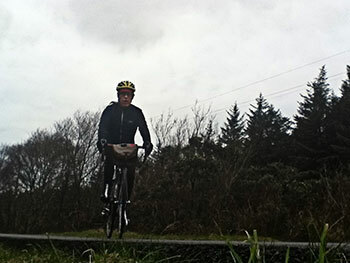 the wind is omnipresent, so it's never too much of a hardhsip to check the windproofing qualities of anyhting you care to mention, but in the case of overshoes, it would have been an ideal consideration to get them wet on at least one or two occasions. precipitation did eventually occur, but only after i'd passed on my thoughts to test team headquarters in poole, dorset. as it turns out, the weatherpoofing is consistent with the quality regularly delivered from prendas. the fabric responsible for both items is referred to as air tunnel, a multi-layered fabric designed to protect from the elements but still fulfill the climbing specifications of, say, michael rasmussen: in other words, lightweight. strictly speaking, air tunnel is not waterproof, but not so as you'd notice, and when it does get wet, unlike neoprene it doesn't becoming a sopping bulk. external decor is hard to miss; the seam is thickly obscured by bright white tape, while each side bears a substantially sized logo and the word prendas writ large, white on black. just to finish off, the top collar is favoured with a small italian flag to indicate country of origin. cosy toes are the only two words i need expound by way of review; this state continued whether wet or dry. did i have any contentious results from my test piloting? the commendable zip garage atop the ankle section (in faux carbon fibre) seemed a smidgeon too large by my reckoning, and the white seam tape threatened to be a wee bit pointy if not constrained at the toes. when worn with regular look style cleats, the rear of the front cleat cutout was just a flick too close to the cleat (and i have my cleats pushed as far forward as possible). none of my considered opinions, however, were ever likely to prevent these from flying. the usual problem with gloves fashioned from a frothy sort of fabric is that of internal movement and stretching. ride your favoured steed, outstretched on the lever hoods, as the fabric extends itself untrammeled, reticence is experienced by those hand muscles leading to an unwarranted degree of tension throughout the ride. the air tunnel fabric bears many similarities to its predecessors in this respect, yet exhibits virtually none of the stretching to which i refer. in similar manner to their overshoe brethren, warmth can be taken for granted. what is something of a surprise is their lack of bulk; winter gloves often have a heft descriptive of substantial weatherproofing. the air tunnel gloves take care of all with an almost unbearable (but highly agreeable) lightness of being. 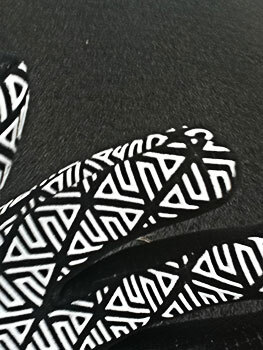 as with henry ford, the gloves are only available in black, again with a solo white prendas logo on the back adjacent to a white prendas ciclismo. the palm and finger grips are cleverly ordered from a repeating prendas logo: form and function in one package. i confess that my brief period of test piloting could find nothing in the gloves about which to complain. the iniquities of the system demand that one take more than just a second look at either item, since the ordering of substantial quantities by a third party may depend on a simple, badly aimed, off-the-cuff remark. the proof of the pudding offers a responsibility i am happy to live with. prendas air tunnel' overshoes are available in small to xxl at a very reasonable £29.95, while the matching gloves can be acquired in xxs all the way to xl for the same price. if you purchase both together, mick and andy are offering £4.90 discount. i'm sure i need not prod you further; winter has a way to go yet.